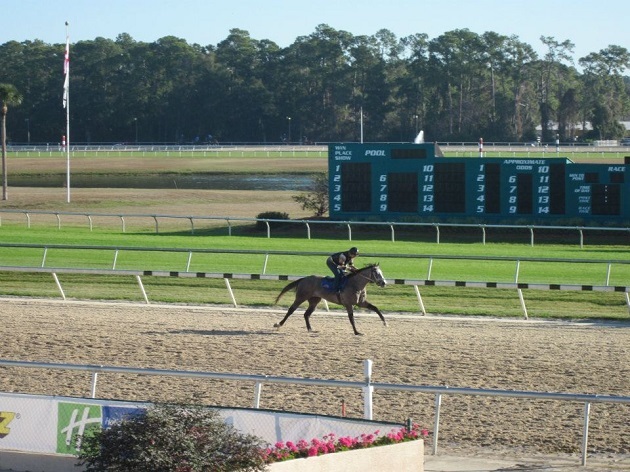 Racing Season Kicks Off at Tampa Bay Downs! ‘Tis that season again for pumpkin-spiced drinks, fall colors, sweaters, and racing to begin again at Tampa Bay Downs! Yes, the 2018-2019 racing season, which offers 28 stakes races at a record $3.74-million in purse money, is quickly approaching with the Opening Day racing card slated for November 24th. The 91-day meeting will run through to Sunday, May 5th, with an additional day on June 30th, the first day of the two-day Summer Festival of Racing. December 1, 2018: A pair sprint races on this day begins the 2018-2019 stakes schedule. There will be a $100,000 Turf Dash, featuring horses three-years-old and up and also a $100,000 Lightning City Stakes race for fillies and mares, ages three and up. December 15, 2018: With four stakes in all, the card for this day highlights a pair of thrilling $125,000, second-year stakes for three-year-olds funded by the FTBOA. Also featured on this day are the $100,000 Inaugural Stakes and the $100,000 Sandpiper Stakes. February 9, 2018: Festival Preview Day - presented by Lambholm South. Festival Preview Day serves as the tantalizing appetizer to the season’s main event, Festival Day, on March 9th, 2019. The February 9th races will showcase three impressive stakes, with the Grade III, $250,000 Sam F. Davis Stakes, as the main event. The Sam F. Davis Stakes is a “Road to the Kentucky Derby” Prep Season qualifying event, awarding points on a 10-4-2-1 scale to the top four finishers. The February 9th program also includes the Grade III, $175,000 Lambholm South Endeavour Stakes, the $175,000 Tampa Bay Stakes, and the $150,000 Suncoast Stakes (a “Road to the Kentucky Oaks” qualifying race); a day chock-full of high-energy racing excitement! March 9, 2019: Festival Day - The most anticipated races and card of the season! The stakes schedule includes six graded races and a $1-million Festival Day program. 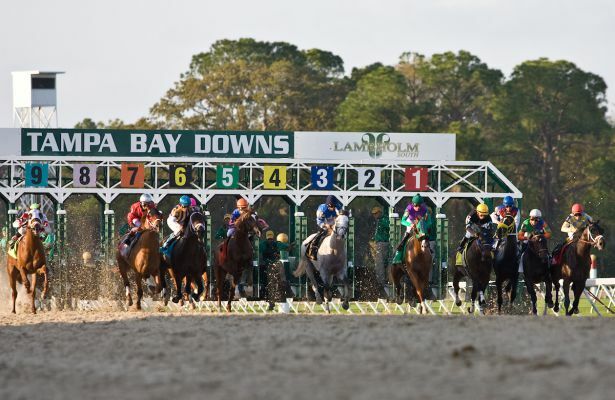 As part of the “Road to the Kentucky Derby” Championship Series, the 39th Lambholm South Tampa Bay Derby is expected to attract national attention. The top four finishers of the race will be awarded 50, 20, 10, and 5 points respectively towards qualifying for the Kentucky Derby. The Lambholm South Tampa Bay Derby will feature a purse of $400,000. Other graded stakes on Festival Day are the Grade II, $225,000 Hillsborough Stakes and the Grade III, $200,000 Florida Oaks races. The $100,000 Challenger Stakes and the $75,000 Columbia Stakes on the main track will punctuate the $1-million+ afternoon. March 31, 2019: Florida Cup Day - With six stakes races at $115,000 in purse money each, this year’s Florida Cup Day will be one for the record books! There will be three races on the main track and three on the turf. With a season full of high-energy, high-profile, and high-payout races, this year’s racing season promises something for everyone! Come check out Tampa Bay Downs’ top-caliber horses, new facility upgrades and renovations, and energetic atmosphere for a memorable racing experience unlike any other! Find more fun events in Tampa like the Tampa Bay Downs races by registering on 813area, your free guide to everything in the Tampa Bay area!